Trumpet Man in THE BOOK OF HANNAH produced at American Movie Co.
Groundskeeper (Lead) in Ned McNenney's short "BARTOW PELL PROJECT"
Official Selection into the 2017 Lighthouse International Film Festival. Sergei (Supporting) in Last Pickup directed by Maggie Surovell premiered at the Williamsburg International Film Festival & the Lighthouse International Film Festival! Won Best Director and Writer at the New England Emmys! Official Selection into the 2016 Coney Island Film Festival September 16-18. 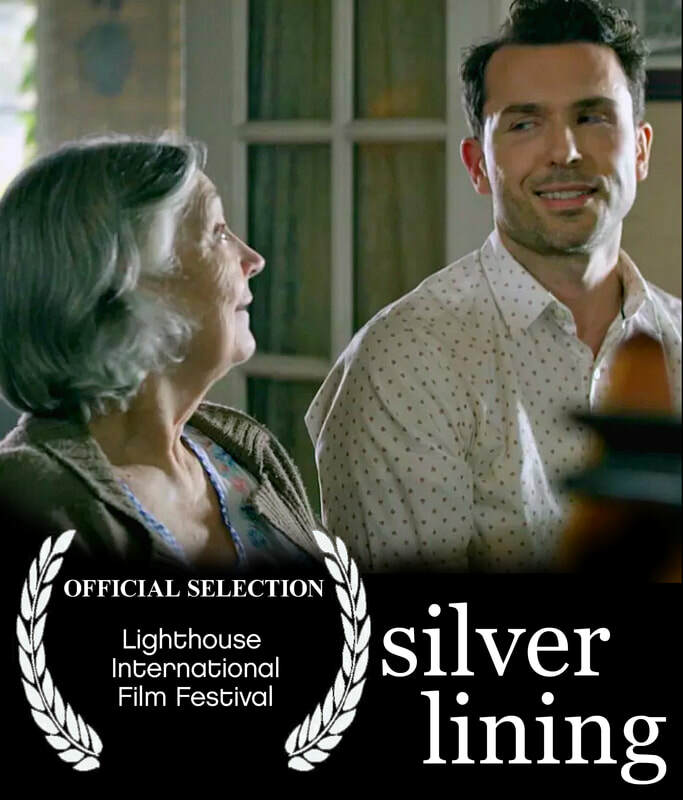 I am now in pre production for the 2nd film I'm directing entitled SILVER LINING also starring Joe Kolbow! ​Bob (Supporting) in Callback directed by Carles Torras and Produced by Zabriskie Films. Police Office (Supporting) in Foreign Sounds directed by Eric Shahinian which won Grand Prize at Rhode Island International Film Festival 2015 after appearing in the Short Film Corner at the Cannes Film Festival 2015. It has since appeared at the Ridgewood Guild Film Festival. Update! Official Selection into GoldenDoor Film Festival September 22nd -25th & the Northeast Film Festival. In theater in NYC he was cast through Michael Cassara Casting as Henderson in The Man Who Came to Dinner with Peccadillo Theater Company starring Cady Huffman and Jim Brochu and played the lead Yosef Solansky in the Drama Desk Award nominated show "The Ryan Case 1873" with Live in Theater - a show that made the approval matrix under the brilliant section in NY MAG. And he was also able to take part in the first reading of a promising new pilot "Tinker" written by Jersey Boys Amy Neswald and Slashtipher Coleman of Neon Man fame that Netflix Original Series is considering. In other theater performances he played the Gentleman Caller from A Streetcar Named Desire in Working Artist Theater Project's experimental piece "Open Call" directed by Jessica Dermody and acted in "Garage" at Big Sky Works which was mentioned in Time Out Magazine. Most recently he trained in a 3 week master class with Larry Moss. His MFA is from Michael Kahn's Academy for Classical Acting at the Shakespeare Theater Company in Washington, D.C.
Before leaving for NYC he understudied Yvan in the 2009 Tony Award winner for Best Regional Theater Signature Theatre's production of ART by Yasmina Reza. His most proud performance to date was in Peter Oswald's new adaptation of Frederich Schiller's Mary Stuart as George Talbot, Earl of Shrewsbury with Washington Shakespeare Company. 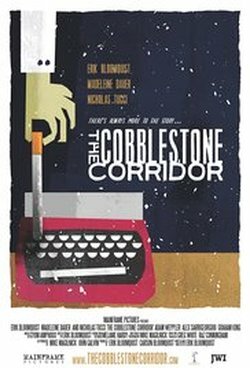 The production received the Washington Post Editor's Pick and was Helen Hayes Award Recommended. Prior to that he appeared as Kent in King Lear and Bilioso in The Malcontent at the Shakespeare Theater Company’s Academy for Classical Acting where he is receiving his Master of Fine Arts in Classical Acting through The George Washington University. Regionally, he has played Baptista in Taming of the Shrew & Gratiano in Othello at the Virginia Shakespeare Festival. Before beginning his Masters, he was last seen as the Robot in The Robot’s Possesion in Rorschach Theatre’s Myth-Appropriation series and as the Commander in dog & pony dc’s workshop production of Courage. Local highlight’s include his two Landless Theatre Company shows: Harry Daugherty in President Harding is a Rock Star, a Washington Post editor’s pick, and Jack the Ripper in Yours Truly, Jack the Ripper, a Washington City Paper critic’s pick. At Synetic Theater he played the title role, Napoleon, in Animal Farm & Caiphus in the original production of The Master and Margarita. He performed in the first three years of the Capital Fringe Festival, most notably in the audience award favorite for best experimental as the Stoic in My Way Little Girl behind the old Warehouse Theater and at the Kennedy Center's Millennium Stage. He has performed three times at the French Embassy for Histrio: A French Theatre as Bartholomeus in Improvisation, Berenger in Rhinoceros & Molloy in Beckett at a Hundred. And he has been seen in 4 of the Kennedy Center's Page to Stage Festival's, most recently in 2010 in Klecksography with Rorschach Theatre.